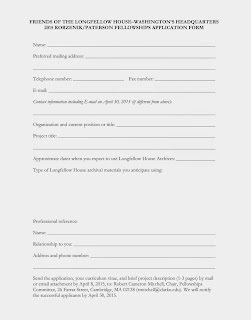 You can save this copy of the fellowship application form and fill it out after printing. Alternately, you can assemble the same information in an email, as follows. We will notify the successful applicants by April 30, 2015. 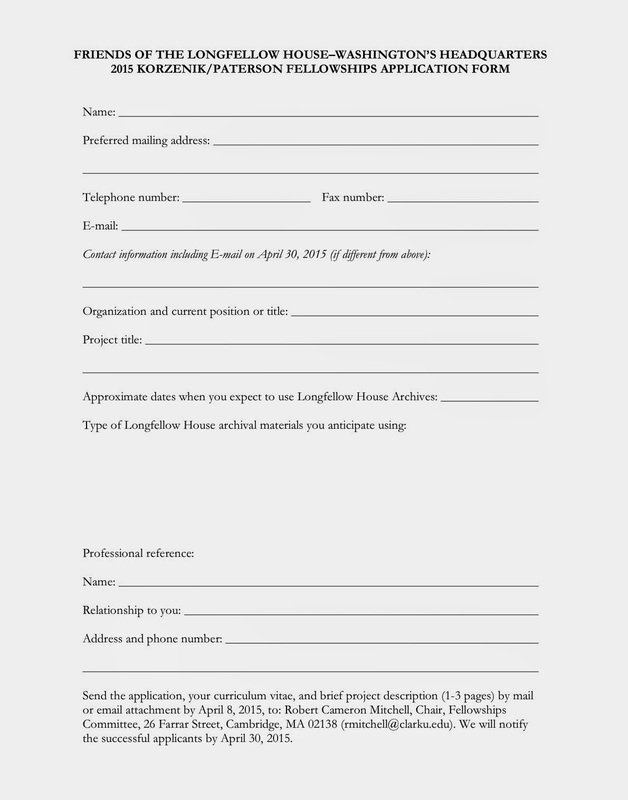 The Friends of the Longfellow House is a not-for-profit voluntary group founded in 1994 to work with the Park Service to benefit and support the Longfellow House–Washington’s Headquarters National Historic Site. This website is designed to complement the National Park Service’s official website. Read our ongoing series of Looks at Life in the Longfellow House, from 1759 to today. The gardens and grounds are open to the public from dawn to dusk every day all year. Longfellow House–Washington’s Headquarters National Historic Site is usually open to drop-in visitors on Wednesdays through Sundays from late May to late October. Exact dates depend on the federal budget. Special group and student tours are available, staff permitting, throughout the year; please call 617-876-4491 for information. The Longfellow NHS archives are open for researchers by appointment; call 617-491-1054.